Darling Dachshunds Calendars now available! Hey, all ewe wiener lovers! How’s it shakin’ dis fine Wednesday morning? Fur me, it’s cold so I’m bloggin’ frum unner da covers! I’m so glad dat Mom got da WordPress iPhone app. Makes it a lot easier on me to blog frum my bed! So, guess whut Mom over at TylerDog did? She made me a calendar! Yep, dat’s right! 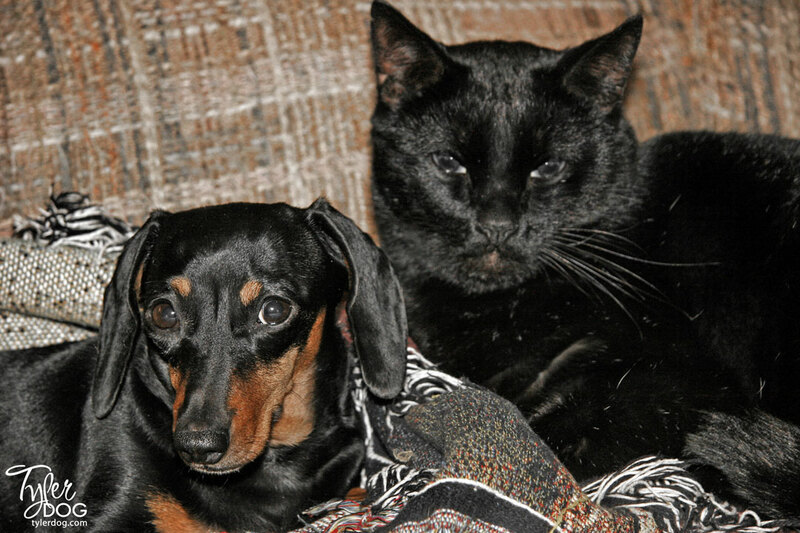 I haf my own 2011 dog calendar featuring me, Jazzy the Amazing Wiener called Darling Dachshunds 2011 Calendar! Is dat kool or whut? 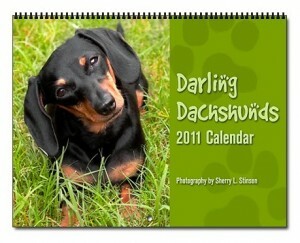 Ewe kan haf ur very own 2011 Darling Dachshunds calendar by clickin’ on this link or da pikchur at right. It’s got like 12 months of ME! Yep, dat’s right! 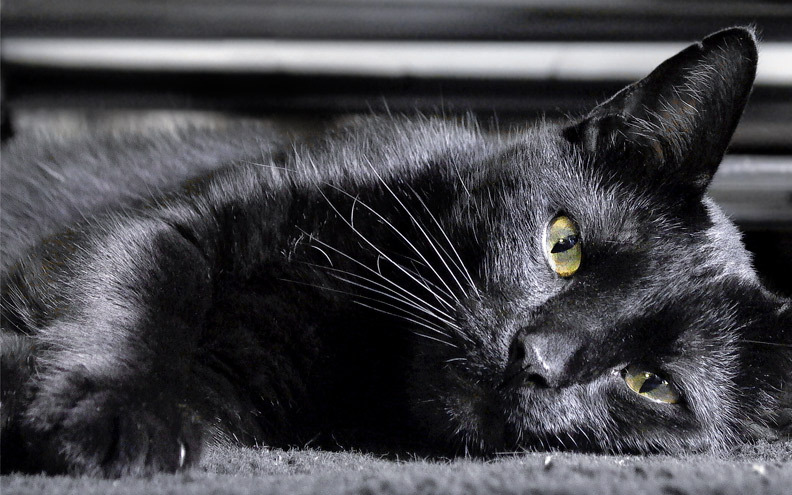 Ewe can haf a full year of purty pikchurs of me gracing your wall. Now, I nos dat all ewe wanna run right out an buy lots of des for ur family an friends. Remember, Christmas is coming up and da more calendars ewe buy, da more treats I get! Oh, dat’s not da reason for Christmas gifts? Oops! I meen to say dat da more calendars ewe buy, da happier peeple will be…like me, of course! 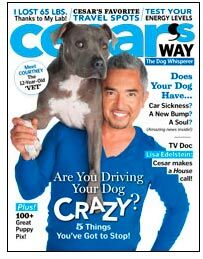 I weally dink dat I look purty on da cover, don’t ewe? Dere are baby pikchurs of me in da calendar, holiday pikchurs, me rollin’ around on da grass pikchurs, an let’s jest face it, weally cute pikchurs ’cause I’m a wiener! Us wieners can’t help but take good pikchurs! Mom also made one for Grady, even tho he isn’t wid us anymore. Mom needs to buy da 2011 version for herself ’cause she’s had da 2009 version hangin’ on da wall an I gets confused what doggone day it is! Sheesh, Mom, update it already, wud ya?! 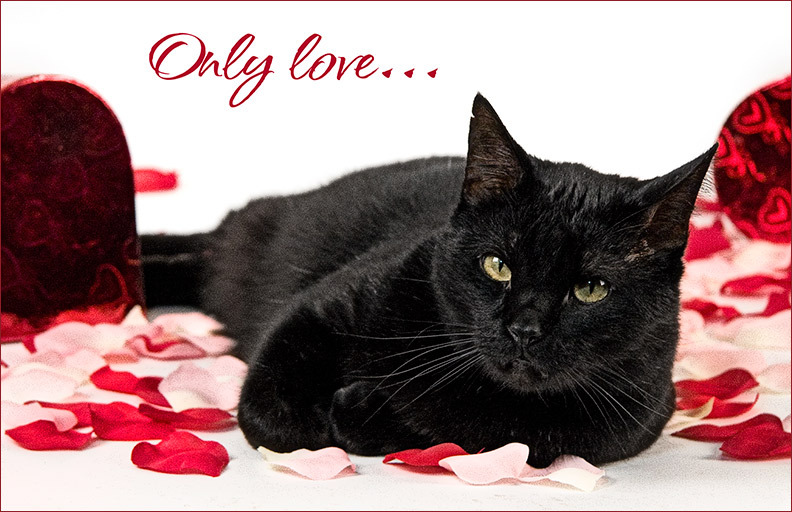 Here’s Grady’s calendar an link, too. He looks weally handsome an I miss him a whole lot! 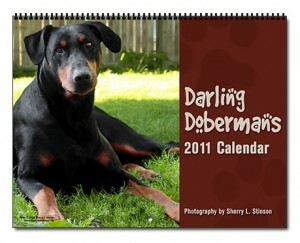 Mom sed she is gonna wurk on more calendars for oder dog breeds an maybe a cat or two. 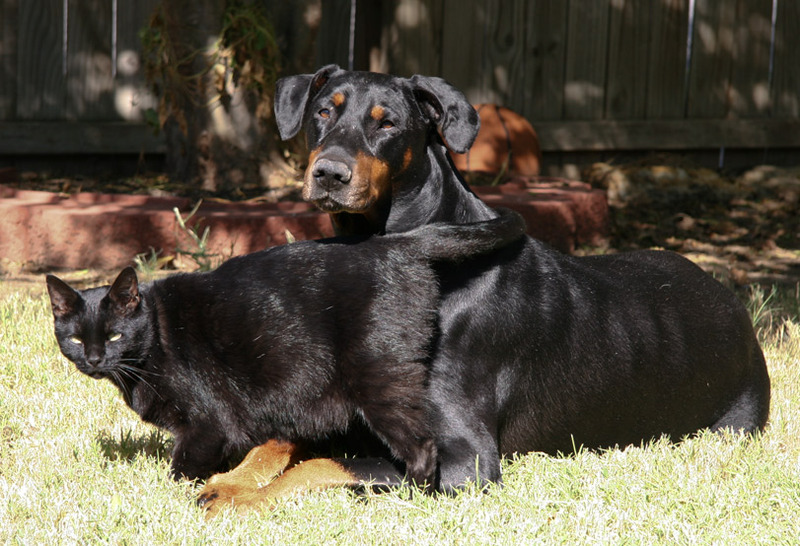 I told her we didn’t need no stinkin’ cats, but she told me to hush ’cause lots of peeple like cats an we haf to be nice. 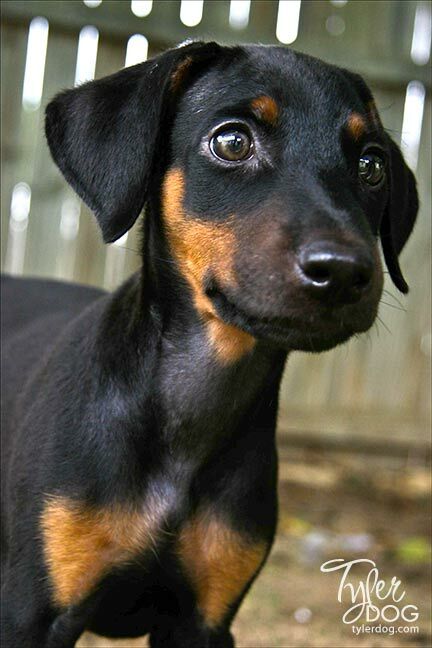 I told her I didn’t haf to be nothin’ cause, after all, I am Jazzy the Amazing Wiener! She told me I say dat too much an ewe nos whut I sed, “Kiss my patootie, Mom!” She jest shaked her head an sighed. She does dat a lot around me! BOL! BOL! Did ewe nos dat Mom is gonna take Dopey Katie an Monster Maggie to Strut Your Mutt? I iz so mad! I don’t gets to go ’cause Mom sed I bark too much! Well, whut am I supposed to do? Shake hands wid everyone? I’m a wiener! I’m little! If I don’t bark, peeple won’t see me an der day wud be ruined! Doesn’t she no nuthin’?! Anyway, if ewe don’t haf anything to do on Saturday, November 6 from 10 a.m.-1 p.m. ewe kan go to Pathfinder behind the Bartlesville High School an join up wid everyone an haf a good time! It’s a fundraiser for Bark Park Buddies for a public dog park in Bartlesville (which I’m sure I don’t get to go to eider! Sheesh!). 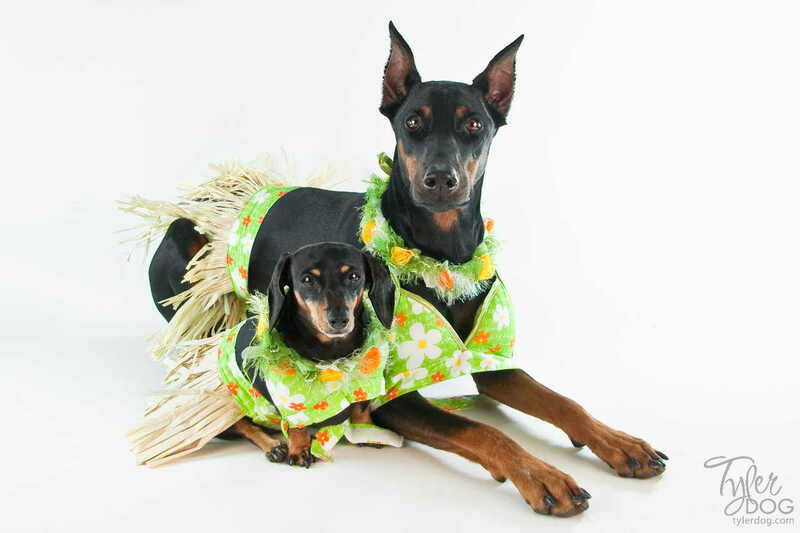 Admission is $5 per person an Mom sed dey wud haf contests, hot dogs (not me! ), refreshments, an more kool stuff! Please, sumone go so I can at least haf a report of whut goes on at des fun events! Well, all ewe wieners, I gots to go! Remember, love ur human ’cause dey needs it! Hey, all ewe wiener lovers! Yep, it’s me, Jazzy the Amazing Wiener! I’ve been takin’ an extra long summer vakashun as ewe kan see from my lapse of posting! Stop grumbling! A wiener’s gotta do whut a wiener’s gotta do! I’m shure ewe noticed my weally hot pikchur above in my purty new bikini! I do look like one hot dog, don’t eye?! 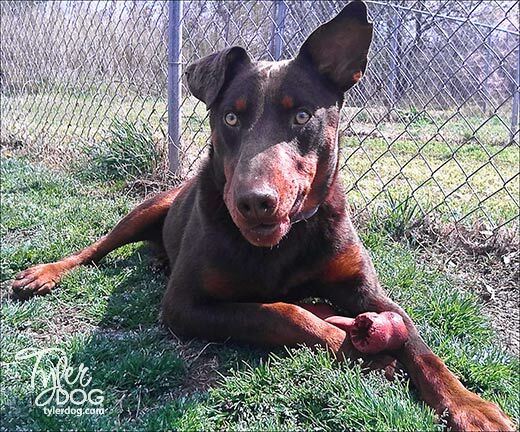 See, I’m gettin’ weady for a weally cool event called da “Dog Days of Summer Pool Party!” It’s gonna happy on Sunday, August 15th frum 6-8 p.m.
an my furry friends, da Bark Park Buddies, are going to host it along wid da Benevolent and Protective Order of Elks. I donut nos if dat meens der will be weal elks der, but it shud make for sum fun pikchurs! Anyways, da pool party is gonna be at de Elks Lodge over at 1060 Swan Drive behind da Walmart in Bartlesville, OK. Dat’s where I lives. It costs $5 per dog and $2 per person to get in all da fun! Plus der will be hot dogs, a raffle, contests, an more! Man, I tell ya, it’s gonna be a weally gud time! I may be wittle, but I bet ewe I kan outswim any oder wiener out der! Here’s a poster about da event…my Mom over at Tyler Creative made it. I taught her everyting dat she nos! She’s purty good, huh?! Oh, an I’m not supposed to tell dis, but she is totally redesigning her Web site an also redesigning da TylerDog Cards web site wid a new store an everyting! I’ll tell all ewe about it first ‘for she does ’cause I am Jazzy the Amazing Wiener Who Knows All and Tells All! Even tho I say dat Katie is dopey, she looks kinda cute in her bikini, too, don’t ewe tink? I tink dat we wud be da two cutest girls ever at da party! 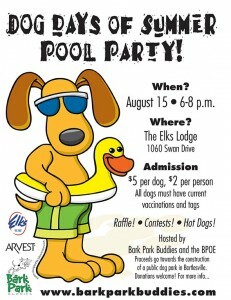 So if ewe haf nuthin’ to do, come out to da Bark Park Buddies “Dog Days of Summer Pool Party” an party wid da hot dogs! All my luv to my wiener fans!